I just finished testing a Cromemco 64KZ RAM board. I did this by using Bob Grieb's Z80 ICE, which is made to be plugged into the Z80 slot of computer or controller card. Bob created his own "PIC-based circuit that could emulate a Z80 for displaying memory, writing to I/O ports, etc. as an aid to troubleshooting..." Bob's modern version is based on the Nicolet Paratronics Z80 emulator called the Z80 NICE. I am fortunate to have been given a beta version of this device to test. 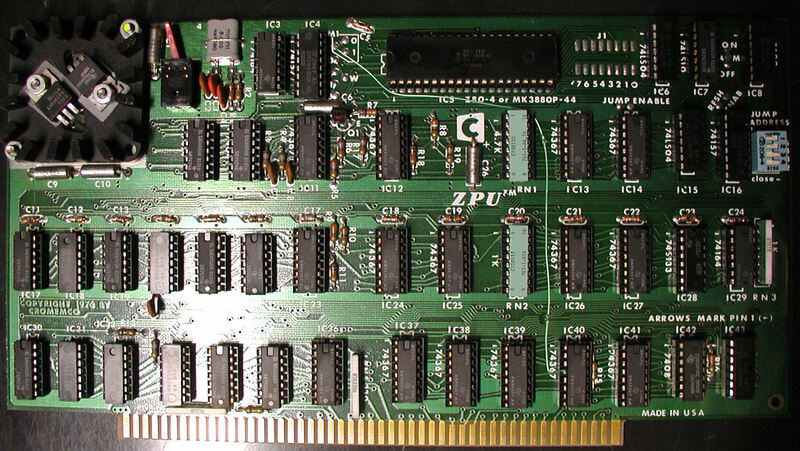 Lastly I tested a mod-ed Cromemco ZPU board, but it does not detect the presence of either memory card. I am not sure why but the wait state jumpers have been changed. My instinct is to revert the card to the original configuration. The M1 jumper to 0 has been cut and it's instead wired to pin 4 of IC40. The voltages I think are OK and the computer itself is OK volts-wise. How do I interpret this, and what would cause only the "7's" to fail? Note above that the failure addresses are all "F's". I believe that when you see this kind of thing, it's not the memory, its a component that is failing, but I can't say for sure. Small range tests are OK. I once had a similar problem with odd results from a memory test on a board that I wire wrapped for an Ohio Scientific Super Kit and it turned out that power was missing from some of the memory chips. Apparently they were getting some power leakage from the data lines. It depended on what the data input value was for the chip to operate or not. I have been told that it RAM controllers differ, some are more suited to a specific manufacturer and will work correctly in their intended environment. 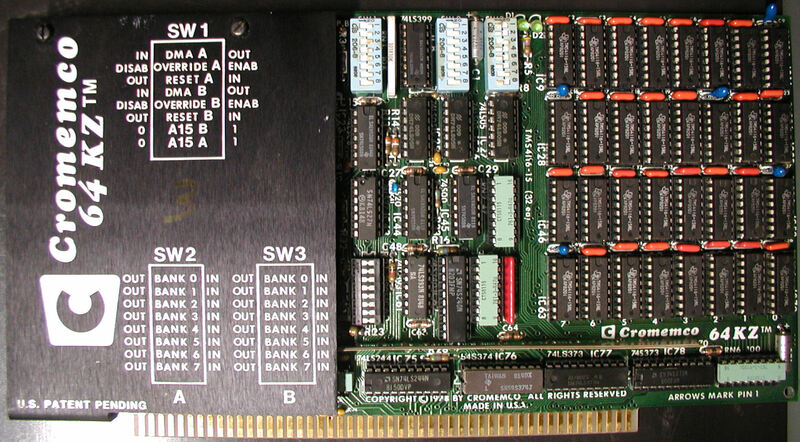 I do have an IMS 32K board that passes the RAM flawlessly so I do know it's possible to pass the ICE RAM test.